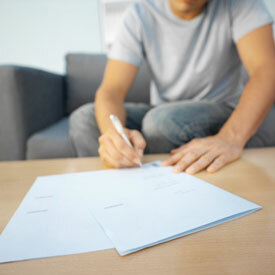 We offer our paperwork on line so you can complete it in the convenience of your own home. Please print and complete the first three forms and bring them with you to your first visit. Only complete the Accidental Injury form if you were recently involved in an auto accident. Contact us if you have any questions. Complete the new patient forms in the convenience of your home before your first appointment! If your visit to our office is due to an auto accident, please also complete the form below and bring with you.